Monthly discussion at the Faculty of Agriculture IPB, which later became a discussion forum “suara Darmaga” is a discussion carried out routinely every month by the Faculty of Agriculture IPB in order to dig and thus give contribution of smart creative, innovative and solutive in responding to the problems and strategic issues that continuously develop dynamically in the development of agriculture and villages in a wider term. This is in line with the IPB vision, that is “to become a world research-based university whose first competition is tropical agriculture and bioscience that has entrepreneurship characteristic.This discussion has involved and IPB and other realted parties, such as the government/beurocracy, researchers, businessmen, and consultants, NGO, and geral community. The results of discussion are later distributed to stakeholders that need them, both in academic staff or higher education, government/beaurocracy researchers, consultants, NGO, and general community thorugh mass-media, both printed and electronic. The results later will be kept tidily in the form of books, journals, articles, and other free writing. 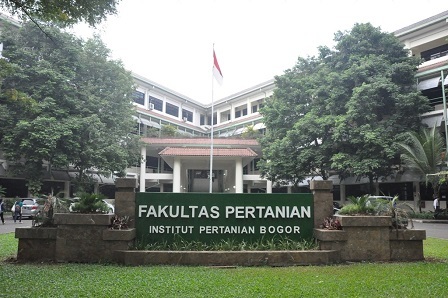 This discussion forum is expected to become an effective and efficient mediator between higher education, in this case IPB thorugh Faculty of Agriculture, and the community outside campuses in order to realize agricultural and rural development that can increase competitive power, food security, empowerment, self-sufficiency, the farmers’ welfare and Indonesian peole in general. Besides, it can also increase the nation’s well being as an independent nation. The formulation team and editors of Suara Darmaga who routinely become the permanent committee of monthly discussions to carry out preparation, implementation and publication of the results consist of Andrea Emma Pravitasari, Jumadi and Bonjok Istiaji.